Evanston police are investigating a Friday evening death as a homicide. A man was found dead in the 1800 block of Simpson Street Friday night. Aldermen are set to approve agreements with unions representing the police and government employees, authorizing city manager Wally Bobkiewicz to negotiate these contracts, at Monday’s City Council meeting. 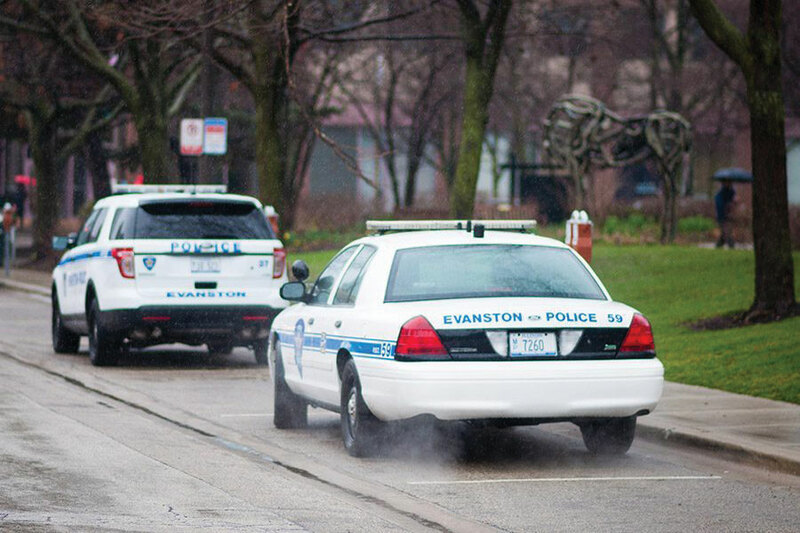 City staff and representatives from The Illinois Fraternal Order of Police Labor Council for Evanston Police Sergeants and the American Federation of State, County and Municipal Employees negotiated these contracts and recommended them for approval, according to city documents. Both agreements are updated from similar documents that expired in 2018 and, if approved, would last for four years until Dec. 31, 2022. As a result of the city’s budget deficit, both contracts do not include a wage increase for 2019, allowing the city “to significantly reduce and anticipate salary expenses to improve its financial situation,” according to city documents. In 2020, 2021 and 2022, police sergeants and city workers will receive wage increases of 1.5, 2.5 and 3 percent respectively, according to both agreements. These negotiations come after a Supreme Court decision in June 2018 that struck down an Illinois law requiring workers who opt out of union membership to pay a partial fee. The decision now allows employees to opt out without having to pay fair share fees, which contributed funding to the union’s collective bargaining and representation. Some expressed concern that this would cost unions funding and membership, but Shawn Pestka, the executive vice president of the Evanston chapter of the AFSCME, said in a July interview with The Daily that he didn’t expect a change in membership or collective bargaining power. The AFSCME is the largest union of government workers in Evanston, covering 354 active city employees. Their contract increases employee contributions to insurance in 2021, adds floating holiday time and increases on-call weekend pay, according to city documents. In addition, the agreement states the city will not lay off any budgeted employees in 2019 or add furlough days for the remainder of the contract. The Illinois FOP — which serves only 20 members — has an agreement which includes an increased stipend for employees with a bachelor’s degree, raising it from $1,900 to $2,000 in 2019. In addition, employees with a master’s degree will receive an annual stipend of $2,500. Only for 2019, sergeants will also receive 16 hours of compensatory time in lieu of holiday time. At a city council meeting in April, Ald. Cicely Fleming (9th) emphasized the importance of union negotiations during the budget deficit and referenced negotiations taking place at the time with the FOP and AFSCM.